GrassFire is a leadership development and training company founded and headquartered in Wichita, Kansas. To provide superior, ethical, innovative and socially responsible leadership development and training for those who seek it. GrassFire provides coaching and development services in a variety of different disciplines. Our service is customized to the student or client and is not dictated by a set structure. We aim to serve our customers; not force our customers to conform to us. Rather than focus on large bonuses and massive profits, the emphasis is on our clients and employees. GrassFire Industries LLC will provide both personal and professional leadership development opportunities education to all those who seek it. GrassFire seeks to empower our students to become leaders in both their personal and professional lives via outward examination, self-reflection, and leadership skill development. 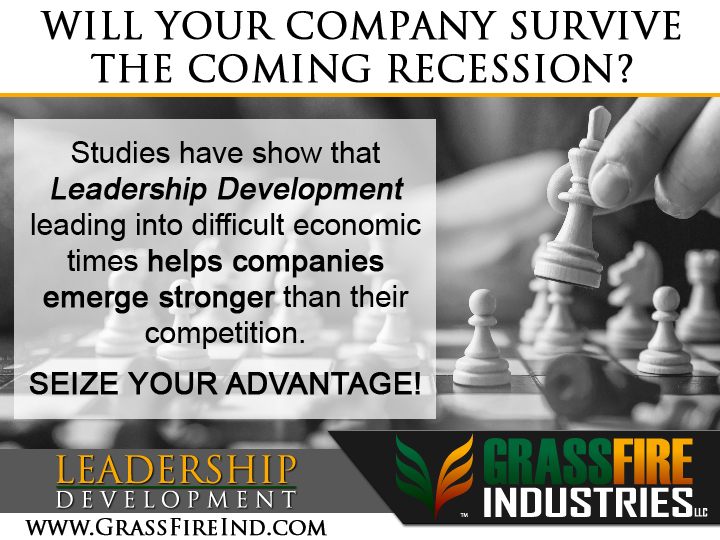 GrassFire Industries LLC will be a top-tier and trusted name in the Leadership Development industry with the reputation that our students and clients are our most prized asset. Both staff and student take the logo VERY seriously. It means something special. It represents a journey, an accomplishment and personal growth. There are two sides to the logo (left/right). This has two meanings. First, it represents the teacher/student relationship – which is VERY important to us. However, it also represents the old and new student; as they are usually two very different people after going through our programs. The Grass portion represents something established – something that took time to foster and grow. Before you start a program with GrassFire, the grass represents the OLD you. When we set Fire to the old you and burn down the old ways, newer and healthier Grass grows in its place. So when you graduate, the Grass represents the new you as well. We learn during all of our programs that this is never-ending cycle (if we are doing it right). That’s where the Fire comes in. Our instructors are arsonists that ignite the Fire within. This Fire represents the challenge, opportunity, overcoming fear and the necessary element to make room for the new. It is swift and sometimes jarring and the Fire takes everything with it. Our program is about a fundamental change in the way we see our world. Everything has an opportunity to change and grow stronger when old ways of thinking are burned down. In its place… new HEALTHY growth. The three leaves and three flames represent two very important parts of the program that are built around the principle of “three”. One is in regard to communication and the other is in regard to decision making. Our programs are unique and built off of the GrassFire principles. The result is a strong leader who can not only think outside of the box, but someone who can effectively communicate visionary decisions with others.